Caregiver and CNA's Apply Now! 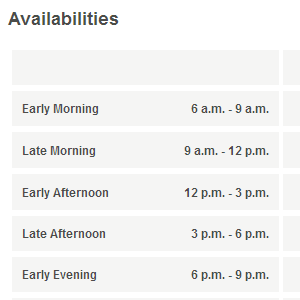 Let employers find you based upon your skill set, scheduled availability, training, and general life skills. Filling out our FREE Caregiver Profile takes a short time and allows employers with your kind of job opportunity to contact you. This puts you in driver's seat to you career. GET STARTED NOW FOR FREE! Our simple caregiving jobs specific profile allows potential employers to find you quickly. You let employment opportunities come to you. Employers are seeking specific skills and schedules, why waste time with interviews that will never fit your life? Your profile allows you to show your skills and your experience. All searchable by potential employers. 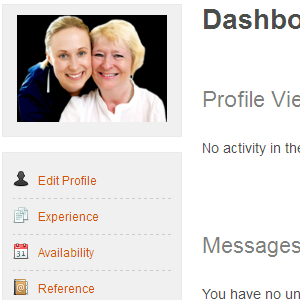 The Caregiver Dashboard has all the tools you need to review, edit, track your profile’s views and opportunities. Find jobs that match your work schedule. Fill in your empty work hours with fulfilling work for great clients. CaregiverHR is for every type of Caregiver. I have been a caregiver for 5 years now. I work at an assisted living community near my home. 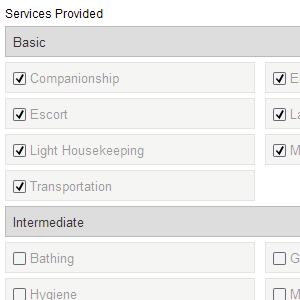 Recently, I decided to try CaregiverHr to find some extra hours to add to my full time job. I found an “on call” position for an agency. It has been rewarding and helpful financially to have the extra income. I wish I had known about CaregiverHR a long time ago. I have been working part time for a Personal Assistance Agency in my city. When my son started high school I wanted more hours. They were not available at my agency. I heard about CaregiverHR and it was very easy to look for the specific hours I was available to work. Now the two jobs together make a full time job. I have spent a lifetime caring for my children, parents, and friends. When I reached “empty nest” time and my parents no longer needed my help, I felt lonely and bored. My daughter told me that CaregiverHr would be a great tool to find a caregiving job. I went online and found the CaregiverHR website easy to use. The next week I interviewed with a family near my home, and was hired to care for their mother. Now, my world is a happy place again.! Please read the tips in the blog as they are the foundation for having a great experience on CaregiverHR. 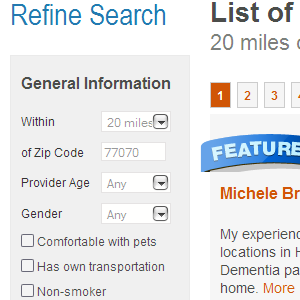 Select from a list of caregivers in your area that meet your needs. Job Inquiries? Want to say Hi? Get in touch today.